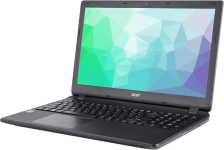 Extensa EX series by Acer are basic budget laptops with an excellent battery life, which make them great for daily computing. This series is simply built with a classic and modest design yet offers all necessary features and ports needed to complete everyday tasks. These budget-friendly notebooks can be upgraded with our services to optimize speed and performance.